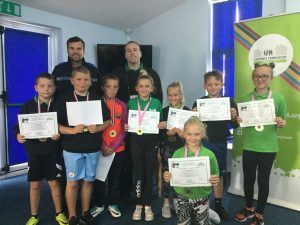 Caernarfon and Penygroes youngsters gain valuable experiences over the summer | News by Wales Express News, People Before Profit! Eighteen young people from Caernarfon and Penygroes took part in a summer scheme run by the largest housing association in north Wales, Cartrefi Cymunedol Gwynedd (CCG) to help improve their communities. 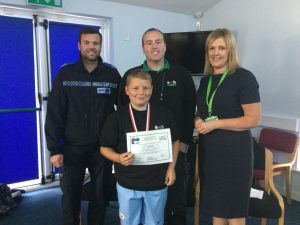 The Junior Wardens scheme, which was run in partnership this year with North Wales Police, is a unique scheme that gives children the opportunity to work alongside CCG’s Community Wardens over the summer to teach them about the important work they do in their communities to make them safe and pleasant places to live. The scheme, now in its eighth year, has seen over 120 children participating from Bangor, Dolgellau, Nefyn, Llanaelhaearn, Y Bala, Pwllheli, Blaenau Ffestiniog, Llanberis, Llanrug, Barmouth, Deiniolen, Bethesda, Caernarfon, Maesgeirchen, Talysarn, Llanllyfni and Penygroes. Sarah Schofield, Director of Customers and Communities at CCG said: “This scheme gives children a fantastic opportunity to learn more about safety and our work on our estates and to learn about the world of work in Gwynedd. The aim of the scheme is to give the Junior Wardens as many different experiences as possible and to inspire them to think about the careers they could choose when they leave school. “Some of the activities the children have been doing over the summer include a first aid course, working with the police, home safety tips with the North Wales Fire and Rescue Service, visit the Air Ambulance at Caernarfon Airport and a visit to Caernarfon Crown Court. PCSO Jonathan Peris Owen, Iolo Roberts Community Warden at CCG and Sarah Schofield, Director of Customers and Communities at CCG with junior warden Kian Pritchard. The group of year seven pupils from Penygroes and year five pupils from Caernarfon spent at least two days a week with CCG’s Community Wardens. Activities included; a visit to Danger Point, a day with North Wales Fire Service and North Wales Police, visits to the National Slate Museum, Caernarfon castle, and much more. The youngsters were presented with certificates at the end of the scheme to mark their achievement and to thank them for their hard work.